Whether you’re planning for your first baby or hoping to bring a sibling into the fold, focusing on your health and well-being prior to pregnancy is an essential first step. To prepare your mind and body for the nine-month journey that lies ahead, consider these simple suggestions. Get a check-up. Arrange for a pre-conception appointment with your family doctor to go through your medical history and family risk factors. You should also evaluate any prescription medications you may be taking. Take folic acid. 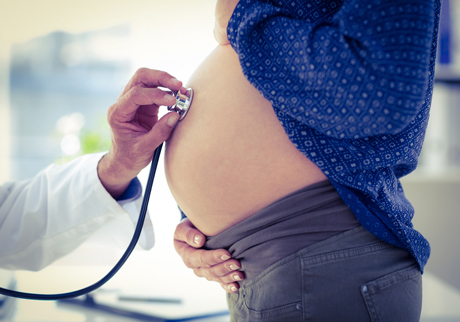 Folic acid, or folate, is a B vitamin that can reduce the risk of serious birth defects. You should begin taking between 0.4 mg and 1 mg of folic acid at least three months before you conceive. (Women with a family history of, or a previous pregnancy affected by neural tube defects, women with diabetes, obesity or treated for epilepsy might take up to 5 mg of folic acid daily. You will need to discuss with your doctor if you belong to this group.) You can meet this daily intake by taking a prenatal multivitamin. Your doctor or pharmacist can help you find the supplement that’s best for you. Boost healthy habits. If you’ve been lax in the diet and exercise department, it’s time to start eating better foods and finding a suitable exercise routine that works with your lifestyle. Rather than focusing on losing weight, think about it as creating an optimal environment that a growing baby will thrive in. Switch birth control methods. If you’ve been taking oral contraceptive pills, talk with your doctor about the ideal time to stop. Although the hormones will leave your body within a few days of not taking them, your body then has to learn to ovulate on its own, which can take some women a couple of weeks and others months. If you’re not ready to get pregnant quite yet, you should switch to a barrier method of birth control such as condoms. Keep tabs on your cycle. Most doctors don’t suggest tracking ovulation during the first few months of trying, but it’s a good idea to keep track of the length of your cycles, especially if they’re not regular. However, if you do want to keep closer tabs so that you know when your body is ready to conceive, you can purchase a basal body thermometer or an ovulation test kit. Ask your pharmacist for advice. Condoms, such as One Condoms, exclusive to Shoppers Drug Mart, until you’re ready to start trying.